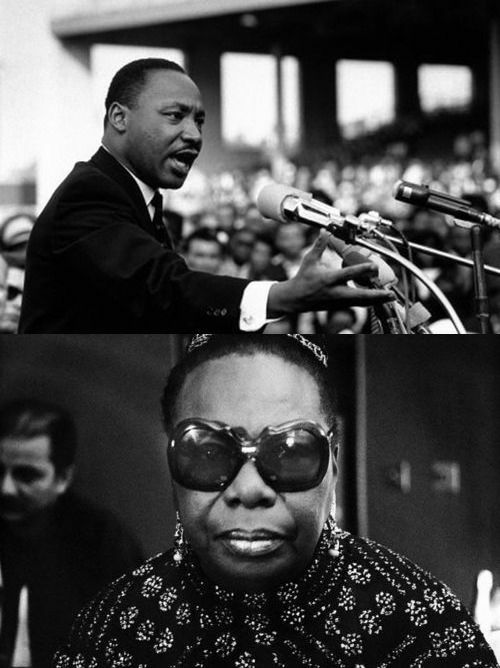 Nina Simone’s The King of Love is Dead – song about the April 4, 1968 assassination of Dr. Martin Luther King, Jr. – is one of the most emotionally-stirring tunes I ever heard. Note that Nina didn’t say the King of Racial Hatred is Dead, or the King of Violent Revolution is Dead, or the King of Anything but Love is Dead. Most of us wouldn’t expect a happy ending for that kind of King—at least not in 1960’s America. But The King of Love…Dead? What are the other options if Love is deemed the most ridiculous of the lot, or at least one which can get you killed? I imagine many Americans reflected this mood soon after MLK’s death. In the style of a beautifully-written poem, Nina placed the ultimatum-disguised-as-dilemma on America’s lap without calling it either of those things. This entry was posted in Politics, Race, Society and tagged assassination, king of love is dead, martin luther king jr, mlk, nina simone. Bookmark the permalink.